We’re happy to have once again hosted some amazing guests who have us believing that we are heading down the right path!!! This week the path seems a little obstructed, but we’re planning to continue plugging along in this direction. It is one of those weeks where we’re exhausted as we begin cleaning up the fields in preparation for planting cover crops. Normally we have much of our cover crops planted by mid September, but since we aren’t able to pay for help, we’re a little behind in getting that done. We had the sweetest family stay in the barn loft and as Julie was providing a tour, they inquired about how many folks were working the land, to which Julie replied only she and her husband. They were astounded that we were “trying” to take care of this entire farm ourselves. Julie was incredibly thankful to them for staying, because she commented that she has hope in one day being able to hire out some of the work as more folks choose to stay at MHO. It was one of those questions, where you step back, look around at all the chaos and think to yourself that selling the farm seems like it would relieve a lot of the workload. We’re thankful that collard greens have been popular this fall!!! After the groundhog ate over 600 kale and Brussels sprout plants, we are thankful to be able to harvest any greens whatsoever. Not to be outdone by the groundhog, we have more kale seedlings started, and are planning on transplanting them into a greenhouse. While they won’t be available for the fall shares, we’re hoping the farmers will have some fresh greens to eat this upcoming winter. Honestly, we love collards, and they are our “go to” green when we are making either an eggplant or chickpea curry and don’t have bok choi. 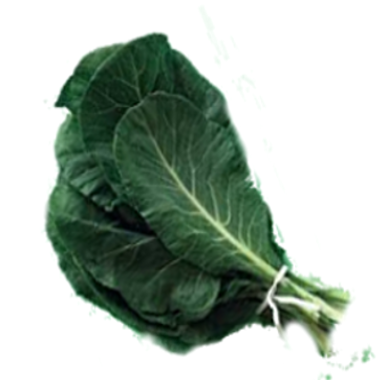 Collard greens provide nearly twice the amount of calcium as spinach and are high in potassium and magnesium, too. If you aren’t into curries, you might consider collard greens cooked in coconut milk. This recipe for these greens with caramelized onions is one we frequently make. This recipe for collard greens and dumplings is excellent because we love dumplings! We make this colcannon casserole that is warming and a one pot meal. Or maybe use your collard greens for making wraps because you can fill them with seasonal veggies!. Simple, delicious and healthy! 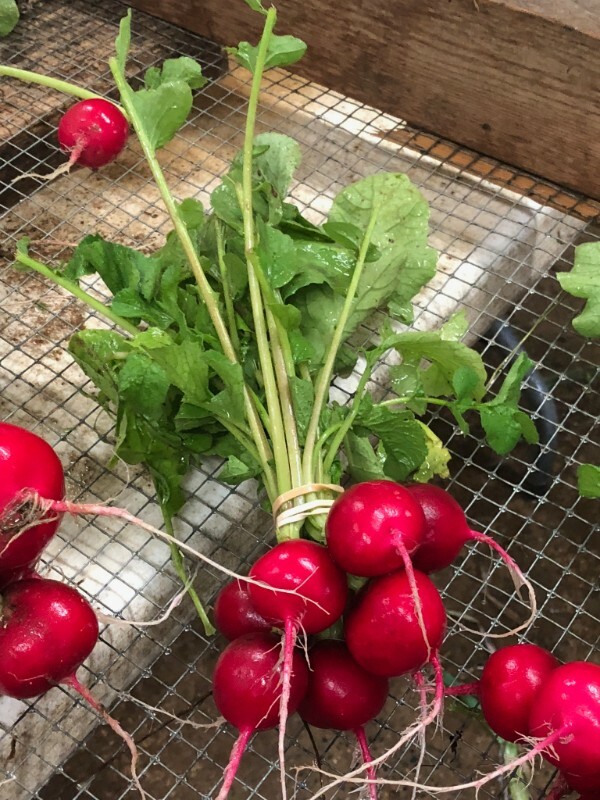 We’re harvesting off a new crop of radishes that are sweet and beautiful!!! The groundhog loves radishes, and is always happy to see the farmer seeding these wonderful crunchy and refreshing roots. The main reason the groundhog loves these roots, is because it knows that from the day that tiny seeds are put into the soil, there is a good chance it will only have to wait approximately 25 days until it can begin grazing on them!!! You will notice that the groundhog has eaten many of the tops. Nevertheless, we hope you enjoy them as much as us. We cant say enough about making carrot and radish refrigerator pickles!!! Especially if you are into having taco night, because they are a delicious topping for tacos. If you haven’t yet pickled radishes, be sure to give it a try because it is great as a topping on tacos! Radishes tend to stay mild even when temperatures fluctuate between cool nights and mild daytime during Spring and Fall. We mostly eat these on salads, but they are also fabulous roasted with other roots, roasted with their tops, or you might be interested in trying them in a slaw. The Splendid Table suggests radish butter as a spread. These radishes and bread hors dâ€™oeuvres are easy, healthy and tasty. Another favorite of ours is Spring Rolls where most any vegetable can go into these delicious wraps. They can be mashed with potatoes for a gratin which can be made vegan in substituting New Balance or oil for butter and nutritional yeast for the cheese. Above are scallions soaking in water. We try and clean the veggies in your share as much as possible, and since these were harvested during the rain, we decided to soak them in the water to remove the wet muddy soil. They are great in tacos, curries, and salads. Lettuce: Red/Green Oakleaf bunches!! Great for making salad mix, but we also enjoy these leaves on sandwiches. Collard Greens: Super tender and packed full of nutrients!!!. Please don’t cook these collards for 3 hours, since they are tender, we simply chop them and saute them up with onions, fresh ginger and perhaps a hot pepper. Radishes: Red Round. Perfect sliced for salads or buttered for a snack. The groundhog has been grazing down the tops. Basil: We are including small bunches of mixed basil varieties. We thought we’d harvest all the basil, because once the temperatures fall below 50 degrees, the basil doesn’t hold. 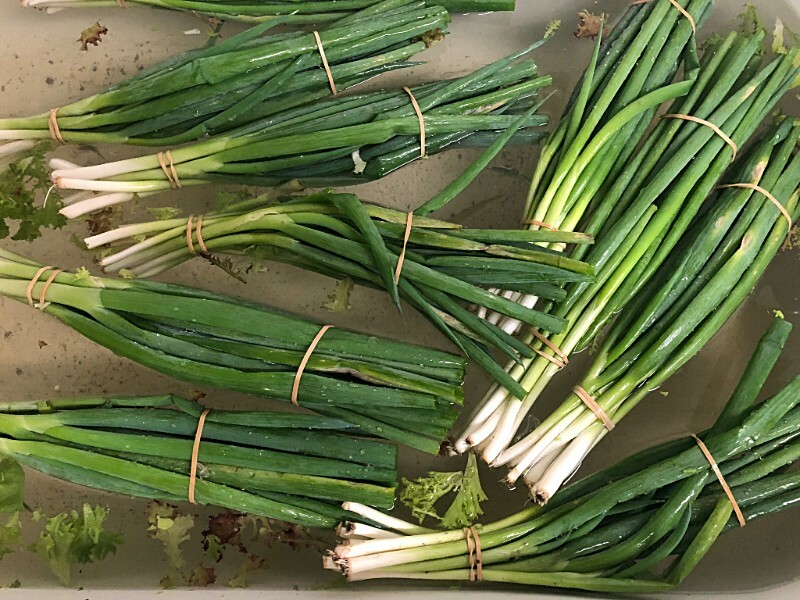 Scallions: Great for soup toppings, tacos or dips. Greens: Napa Cabbage. We use this cabbage in salads like we do lettuce!! Eggplant: Globe Guests have been grilling this wonderful veggie. Now that fall is officially here, we’ve been enjoying our eggplant in curries which is especially delicious with the fresh basil and cilantro. Sausage: Ground Chorizo: We’ve been using this in tacos with peppers and collards. Isn’t it crazy to think about loading your taco with collard greens? The flowers have been the highlight of the farm for guests!! 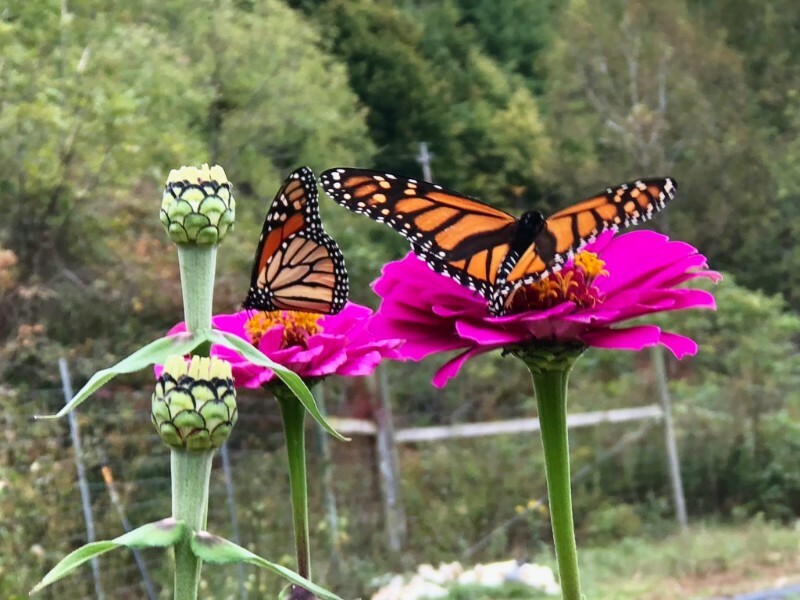 In between rain showers, our guests have been enjoying walking through the fields and especially admiring all the butterflies on the flowers. Our guests have also been enjoying the fresh food that we are stocking their refrigerator with so we hope to continue doing that next year, but as our season winds down earlier than in seasons past we realize we don’t have the storage crops that we normally have this time of the year. We’re still hopeful that we won’t have to buy meat or vegetables before crops begin maturing next year. 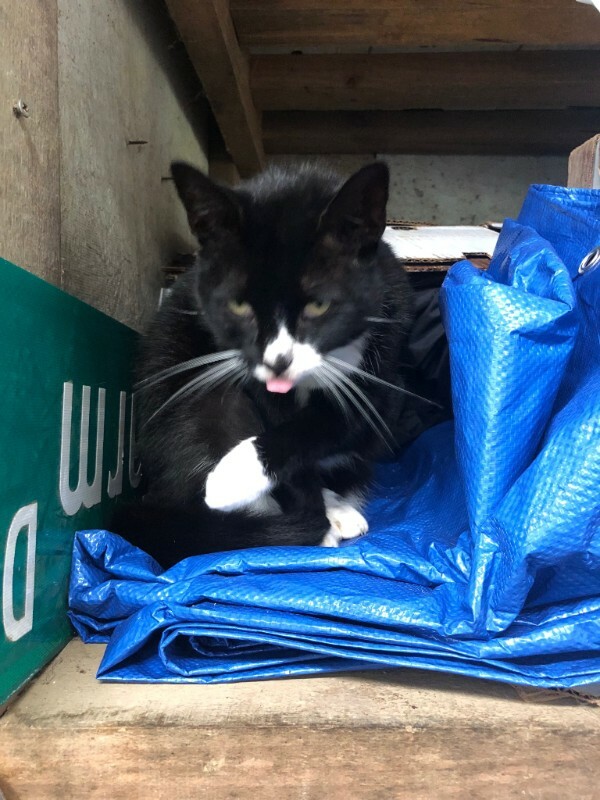 Felix hanging out with us while we clean vegetables!!! Felix loves to supervise us while we are cleaning vegetables. Here she is telling us that we left a spot of dirt on the carrots!!! That means you’ll have to scrub your carrots a bit before using them for your meals. It is time to cleanup the fields!! 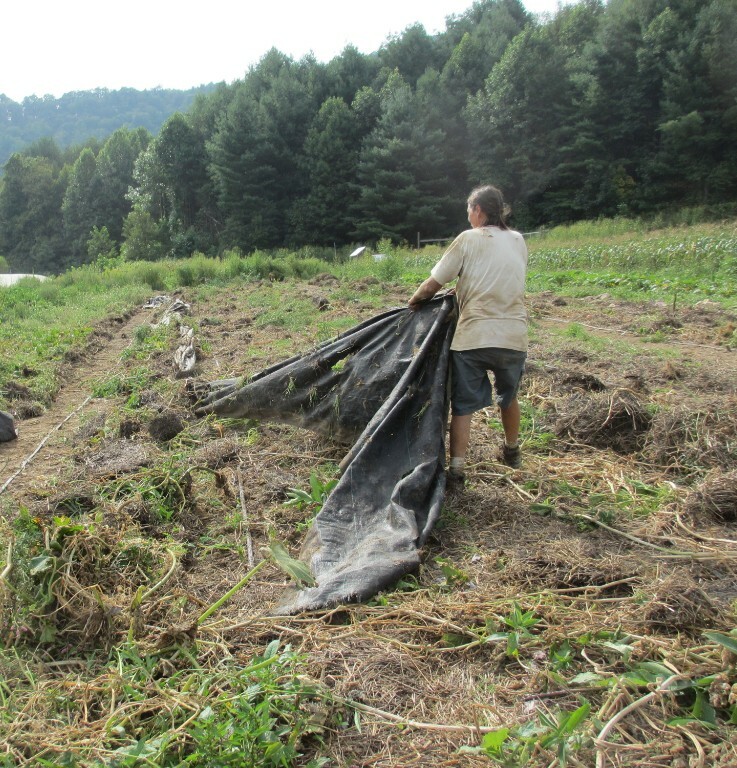 Since we are a little late getting around to cleaning up the fields, we’re going to seed cover crops that are cold hardy and will germinate in cooler temperatures. We are hoping to be seeding cover crops early next week. That means, in between doing laundry and cleaning accommodations, we’ll also be “cleaning” the fields. We’re pulling up spent plants, removing landscape fabric and plastic mulch that was used for weed prevention, drip tape, pulling out rocks that were used for holding down floating row cover, etc. We’re considering planting Austrian Winter Pea and Cereal Rye.